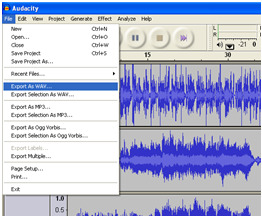 Audacity is a free audio recorder and editor. You can use it in recording live audio, converting records and tapes into digital recordings or CDs, recording computer playback, editing sound files, adding effects on the audio, and more. You can also use it as a sound converter, although that is not the function of Audacity. It supports files formatted as AIFF, AU, WAV, Ogg Vorbis and FLAC. But Audacity can support more file formats when plugins and encoders are installed. Plugins add extra functions and effects. Audacity can support MP3 audio files when you install LAME encoder and set the MP3 Export Library in the Preferences. Audacity can also support other audio formats like MP2, GSM 6.10, RF64 and others, if you will install both libmad and libsndfile libraries. 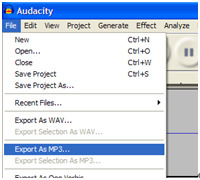 Part 1: What Is Audacity WMA Plug-in? For Audacity to recognize WMA files, a plugin is necessary, and this is the FFmpeg library. 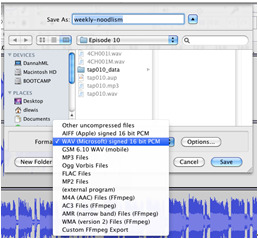 FFmpeg library lets Audacity import or export more audio formats such as M4A or AAC, AC3, AMR and WMA. And you can also import audio from a video file. The FFmpeg software is not included when you download Audacity due to software patents. But you can download for free FFmpeg third-party library. Just take note that FFmpeg 2.2.2 works with the latest version of Audacity which is Audacity 2.0.6; while later versions of FFmpeg works with versions of Audacity before 2.0.6. Later versions of Audacity before 2.0.6 will not recognize FFmpeg 2.2.2 while Audacity 2.0.6 will not recognize FFmpeg versions before 2.2.2. Before you can convert WMA to MP3, your Audacity must have the plugin FFmpeg to recognize WMA and the codec LAME to be able to export to MP3. If your Audacity can support both WMA and MP3, here is how to convert WMA files to MP3 format. Step1. Launch Audacity. Click on File menu and select Open. Step2. A window will pop up. Go to the directory of the WMA file you would want to convert. Choose a WMA file, highlight it and click the Open button. Audacity will then display the file as a wavelength bar on the main screen. 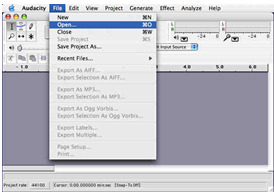 Go to File menu again, click on Export as MP3, then click OK on the pop-up window asking to mix the audio track to stereo. Step3. Click the Locations tab and select the drive or directory where you want to save your MP3 file. Then choose Save As and name your MP3 file. Make sure the Format is MP3; if not, change it to MP3. You can change some options before saving by clicking the Option tab. At the lower right corner, click on the Save button. Your Audacity must have the FFmpeg plugin for you to be able to convert from WMA to WAV. If you already have the FFmpeg plugin, then you're ready to convert. Step2. A window will be shown. Go to the directory of the WMA file you would want to convert. Choose a WMA file, highlight it and click the Open button. Audacity will then display the file as a wavelength bar on the main screen. 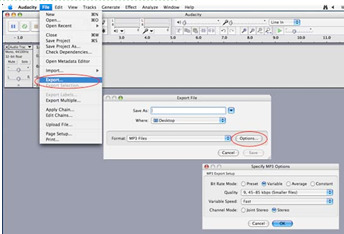 Go to File menu again, click on Export as WAV then click OK.
Step3. Click the Locations tab and select the drive or directory where you want to save your WAV file. Then choose Save As and name your WAV file. Then go to Format and select WAV files. At the lower right corner, click on the Save button. Your Audacity must have the LAME codec for you to be able to convert from WAV to MP3. Here is how to convert from WAV to MP3 format in Audacity. Step1. Launch Audacity. 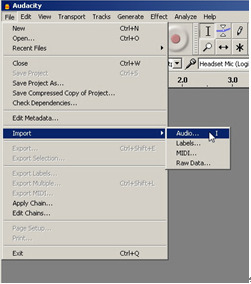 From the File menu, click on Import and then select Audio. Step2. Choose the location of the WAV file you wish to convert. Then highlight the WAV file and click the Open button. Step3. Audacity will then display the file as a wavelength bar on the main screen. Go to File menu again, click on Export as MP3 then click OK on the pop-up window asking to mix the audio track to stereo. Step4. Click the Locations tab and select the drive or directory where you want to save your MP3 file. Then choose Save As and name your MP3 file. Make sure the Format is MP3, if not, change it to MP3. You can change some options before saving by clicking the Option tab. At the lower right corner, click on the Save button. The greatest thing about Audacity perhaps is being a free audio editor and recorder software. The rather downside of the matter is that it often crashes when used for a long period or when your audio is already longer than what it could handle. If you are into reliability no matter how long your audio is, there are other alternatives. And even though you can use Audacity to convert audio from one format to another, the fact remains that Audacity is not a converter program. Therefore, quality is not as good as the original. It would be wise to use an application that will give you high quality audio. iSkysoft Audio Recorder for Mac is highly recommended. iMusic is a paid up audio recorder. There is a free version, but like all free software, it has limited features. iSkysoft Audio Recorder can record any audio played on your Mac with exactly the same quality as it heard the audio. It can give you the output in MP3 or M4V without having to install additional codecs or plug-ins. 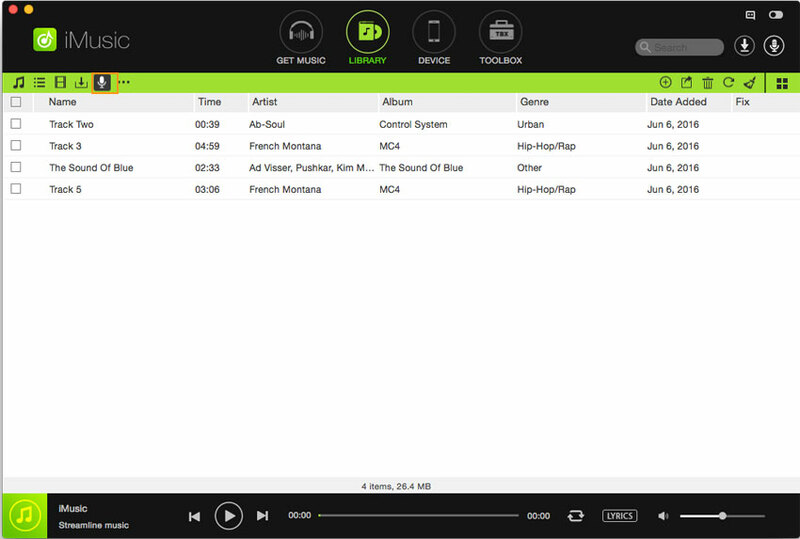 And it supports audio from more than five hundred online music and video websites and online radio stations. Plus, you can add the recorded audio to your iTunes Library in just one click. Step1. Download and install the application on your Mac. Launch the application. Click the "GET MUSIC" tab. You can see 3 options in "GET MUSIC": Discover, Download and Record. 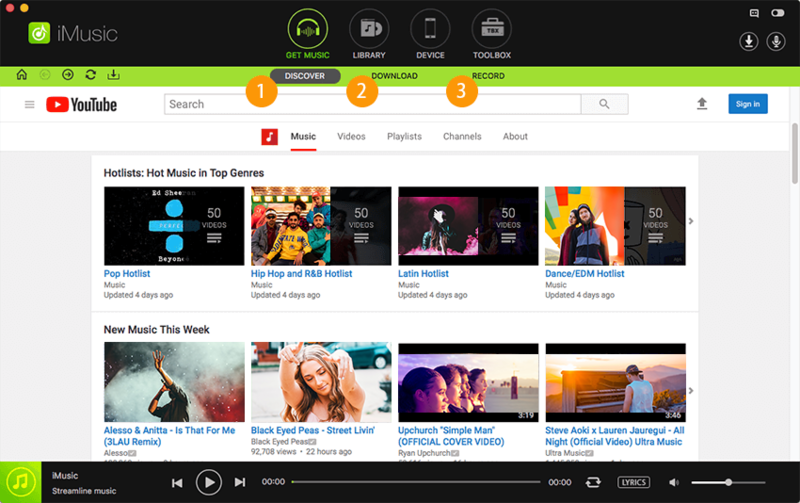 "Discover" allows you to find the hottest playlists and songs in the built-in library. 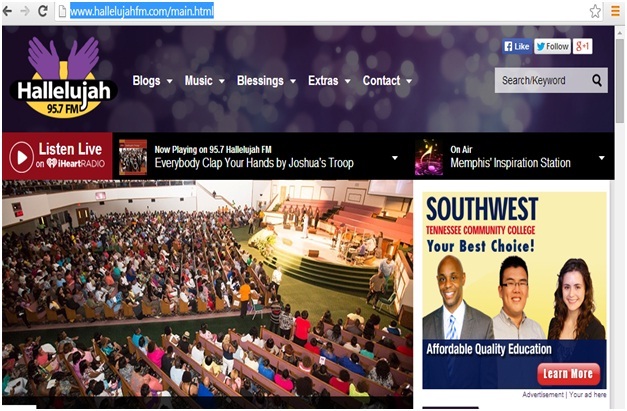 "Download" enables you to download music by copy-n-paste the url of the song. 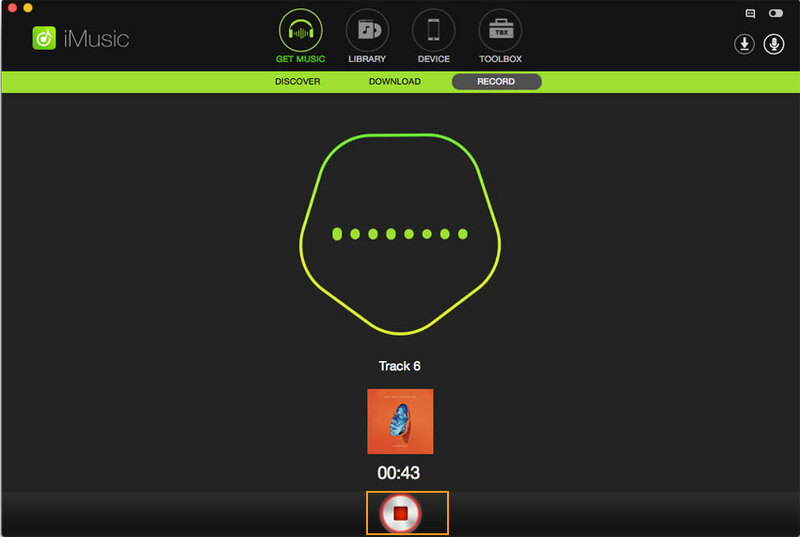 "Record" lets you record any song from any websites or played with any software. Step2. Click on the Record option and next click the red record button, getting ready for the music recording. Then play the audio or video you want to record. The application will begin to record only upon detection of the sound. Step3. 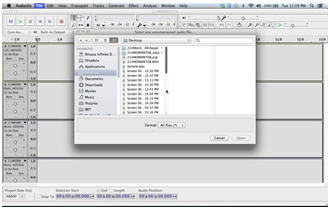 When the recording is done, access the file by clicking on the Library. You can play the recorded audio with the built-in music player by double clicking on the file. You also have the option to transfer music from the library to iPhone, iPad, iPod and Android phones. You can now record from YouTube, Yahoo Music, Spotify, Pandora, Rhapsody, iTunes Radio, AOL Music and a lot more streaming websites. And it is easy to record, just a click and record you go. And you can even burn the music you have recorded into a CD. iMusic lets you record the audio of a video you are watching like from a YouTube music video. Only press the Record button to start recording and save it to a high quality MP3 or M4V file. iMusic is capable of identifying recorded music files and can automatically get music information such as Title, Artist, Genre and Album. If you notice any mistakes with the information, you can edit the tag. 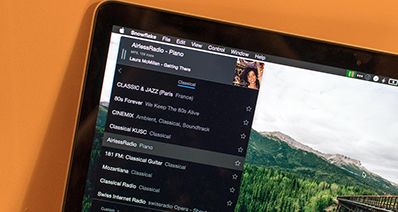 iMusic records exactly what it heard from your Mac. 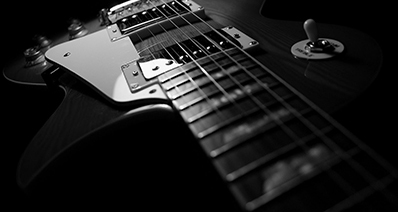 You will enjoy exactly the same quality of music. What's more, iMusic has its own media player. You can play the audio file you have recorded and check the quality of the said audio. You can also organize your audio files and delete unwanted music file.